Starbucks Store has a new exclusive savings coupon! Take $10 off orders of $50 or more! Enter the promo code MAY10 at checkout to get the discount. 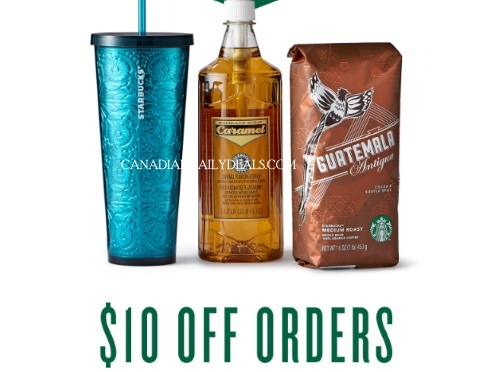 Offer excludes Starbucks Cards, Verismo System,Starbucks Reserve, and electric brewing equipment. Offer is available May 16-22, 2017.